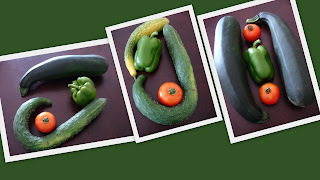 I know I have already gushed enough about the garden, and the wonderful flowers that cooperated to grow this summer, but the icing on the cake (with the cute cherry on top) is the success we had with growing vegetables! Last year was such a heart-breaking disaster, that this year we did more research, and were meticulous about every single step. And my, my! It was so much work for a teeny 15*10 feet space of vegetable patch! We empathized a lot with all the hard working farmers around the world who get cheated of their crops due to unpredictable weather, pests and animals. Admittedly, I hardly did any of the real back-bending labor. While I did all the fancy work of planning which vegetables to plant, deciding how many of each, buying the seeds, and sowing and tending the saplings indoors, the husband slaved outdoors, preparing the soil, tilling, weeding and re-weeding. And like a grand princess, I set foot on the patch to plant the saplings (which, by itself gave me sore legs and back for a week). Paranoid about how many plants would eventually brave the weather, rabbits and our half-baked care, we planted 72 tomato plants (no kidding! 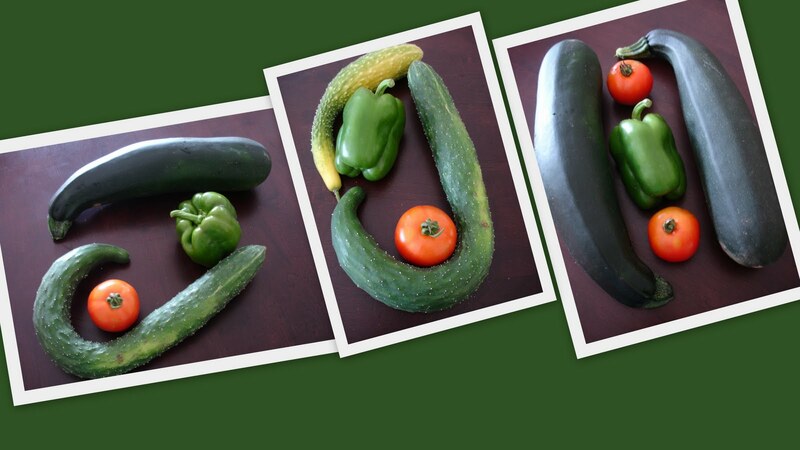 ), 30 bell pepper plants, 15 zucchinis and 15 cucumbers. I lost count of how many seeds we originally started with, but we roughly lost 10% of them when they turned saplings, and another 10% of them when they were planted outdoors. So, being cautious definitely paid off, but we need to learn to tone down a bit! The over-ambitious me had also purchased two packets of carrot seeds, but we were overwhelmed by all the work and decided to save them for next year. Besides, the garden could only hold so many plants without suffocating one another. Weekends disappeared altogether in just trying to maintain this little space of land. Not sure how fertile this soil is for the plants themselves, but they are exceptionally fertile for weeds! Despite putting down weed-preventing rugs, and regularly weeding, the weeds somehow outlasted our efforts, every week. Gardening was starting to turn slightly sour for me, but it was just a brief phase. Seeing the plants’ slow but steady progress kept us going. And when we spotted the first sprout of flower on a tomato plant, we were pumped with so much motivation to keep doing our best. I think I should stop saying “we” this many times. The credit really goes to my husband and father-in-law for their constant vigilance and weeding, when I slumped down tired most of the time and consigned myself to “critiquing” the space... which wasn’t welcome, of course. But the immensely gratifying (and incredible) news is that this post has a happy ending! We harvested such a hardy crop, we could have cried! 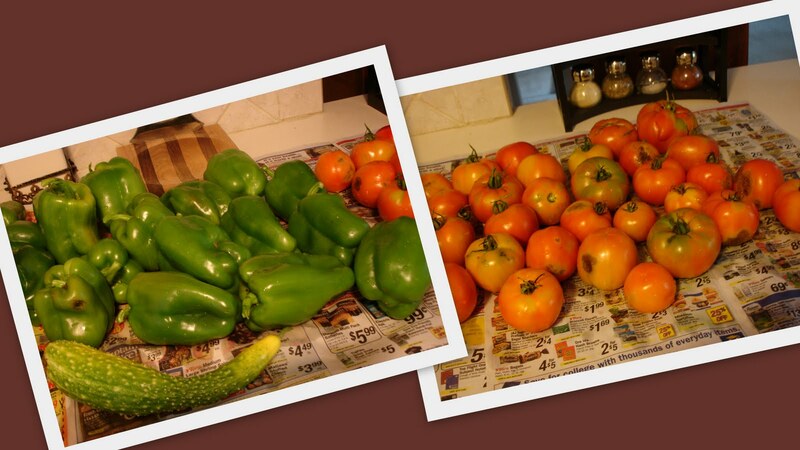 We still can’t believe that we got more than 70 tomatoes and bell peppers! And zucchinis the size of eggplants!! I have never seen a zucchini so huge, and it’s incredulous because we didn’t even use any fancy fertilizers!! The cucumbers are wonderful too - a little bitter sometime, but nice and juicy! It’s such a nice feeling of accomplishment knowing that we won the battle against the heat wave, the ridiculously ill-timed frosts, the swarming beetles, the nagging slugs... and most of all the dexterous bunnies, who always seem to find a way in! It’s very satisfying to just scamper out into the garden to pick out a nice yield of vegetables for our meals, instead of worrying about grocery shopping! Plus it’s quite rewarding that they are organic and home-grown! But, are we tired of eating meals cooked out of these four main vegetables? Surprisingly no! Or not yet! I think we are much much kinder towards our own hard work :). We have never before relished these vegetables as much and have never looked up so many different and new recipes involving them! 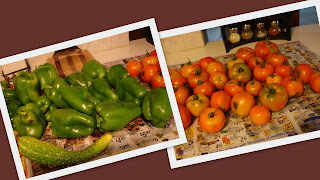 The tomatoes are wilting and are in their last stages, but the bell peppers, zucchinis and cucumbers are still thriving. We hope they last for a month, but that may be wistful thinking!! And finally, most importantly, we need to thank Nature for humoring us! Thank you SecondSight and Sanjini! Wish I could share some with you all!